The World Poetry Academy was born on 23 June 2001 in Verona. It is in fact in the city that saw the birth of the Latin poet Catullo, who welcomed Dante and allowed him to complete his “Divine Comedy”, which inspired Shakespeare and who welcomed Goethe, Dickens, Lord Byron and many other writers and artists from Europe and the world, who held the constituent meeting of the World Academy of Poetry, with the support of the City of Verona and the Italian Ministry of Foreign Affairs. 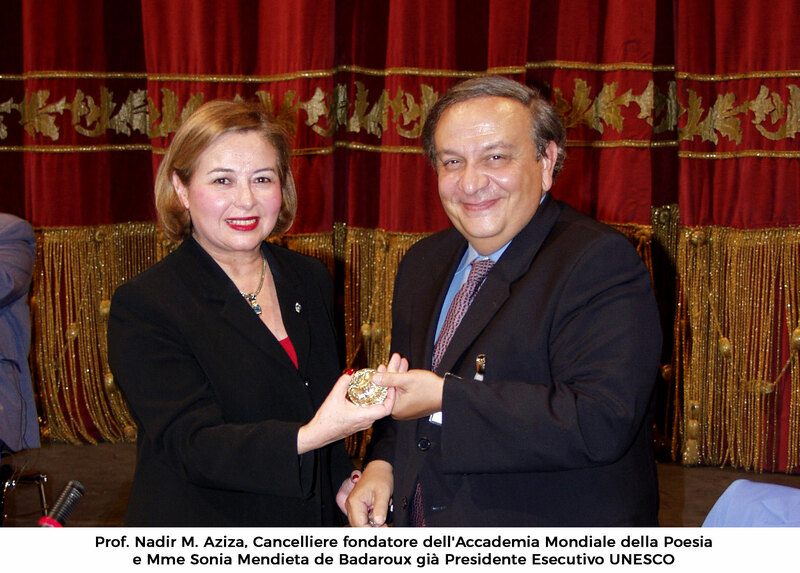 UNESCO, the Veneto Region, the Province of Verona, the University of Verona and other private sponsors have witnessed their interest and support. Obiettivo della Fiera, oltre a promuovere i libri e gli autori, è anche quello di diventare un luogo di incontro e di scambio di idee fra tutti coloro che si occupano di poesia. 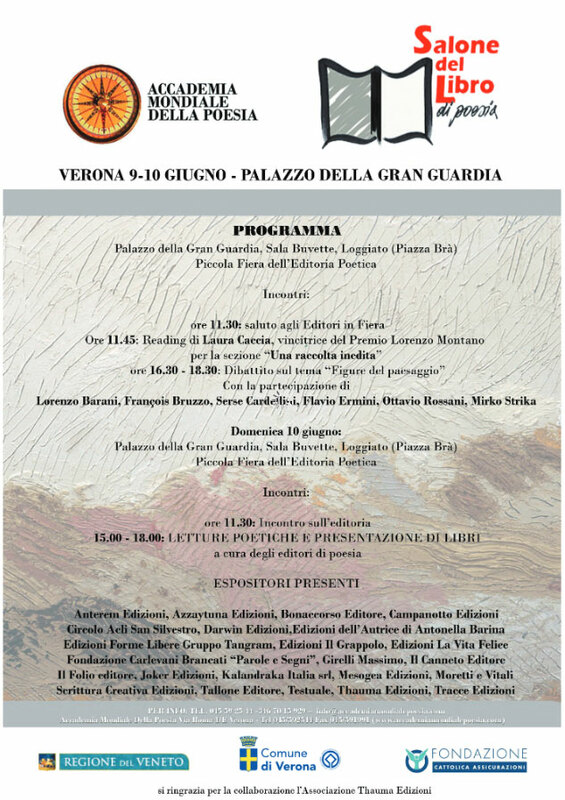 L’iniziativa avrà luogo a Verona e si svolgerà in due giornate, 9 e 10 giugno 2012, durante le quali si allestiranno appositi spazi in grado di ospitare gli stand per editori, riviste letterarie, librai, Festival e Premi Letterari, mentre altri spazi verranno adibiti per convegni e momenti artistici. The globalization process entails as many opportunities as risks and challenges, particularly demanding on young generations. In this context, Universities as well as Governmental institutions, NGOs and civil society worldwide need to intensify exchanges, dialogues, relations and develop efforts for a culture of peace as a key-factor for reaching not only a greater and better understanding between peoples, but also more realistic prospects in terms of educational goals for the formation of new generations of leaders, in face of the challenges that a shared world of peace carries with it. 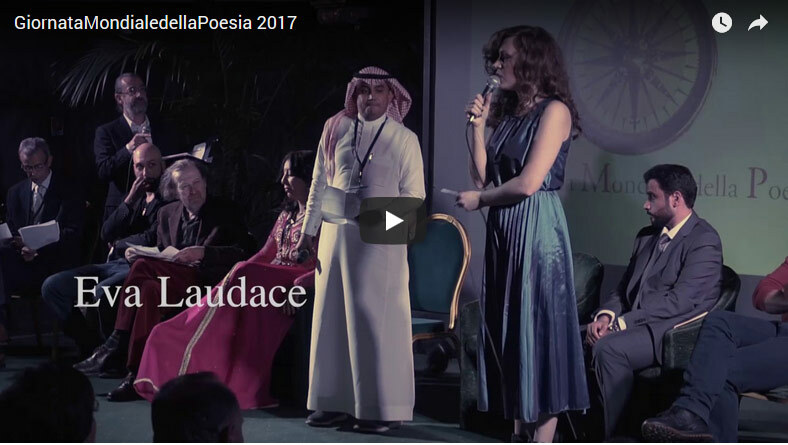 Saturday, March 18, 2017 was held at the Maffeiana Sala del Teatro Filarmonico the World Day of Poetry. This year’s theme was: Poetry as the DNA of the World: Identity and Tradition of the Contemporary World. 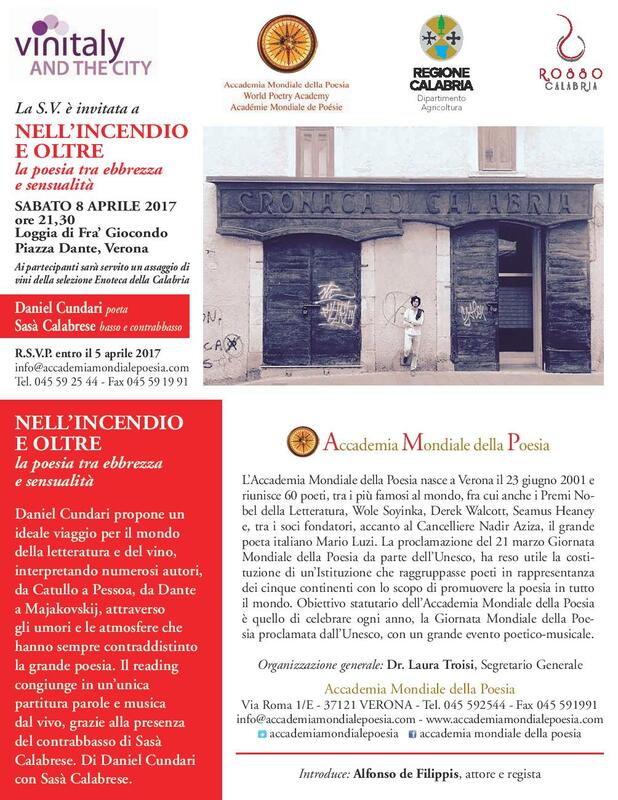 sabato 8 aprile alle ore 21.30, presso la Loggia di Fra’ Giocondo in Piazza Dante a Verona, lo spettacolo di DANIEL CUNDARI, che in occasione DI VINITALY, proporrà un ideale viaggio nel mondo della letteratura e del vino, interpretando brani di celebri autori, da Catullo a Pessoa, da Dante a Majakovskij. E’ possibile prenotarsi all’evento cliccando qui oppure inviando una mail a info@accademiamondialepoesia.com. On June 23, 2001, at the Teatro Filarmonico, the solemn ceremony of the World Academy of Poetry was held, attended by some fifty poets from all the geo-cultural areas of the world.